Rear-end collisions are extremely hazardous for drivers. Even in crashes occurring at low speeds, drivers involved in rear-end accidents can suffer damages such as property damage and physical injuries. 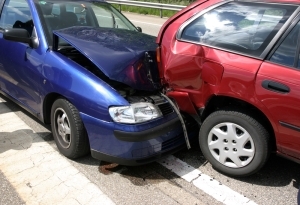 In other cases, high-impact collisions can result in total property loss, multiple vehicle crashes, and fatality. If you or a loved one has been involved in a rear-end collision in Indiana, you need to speak with an Indiana rear-end accident attorney from Parr Richey Frandsen Patterson Kruse LLP. When you have suffered extensive damages through no fault of your own, it can be hard to deal with the financial, physical, and emotional burden of an accident. Our seasoned trial attorneys will go the distance for you to ensure that your rights are protected, that you are not weighed down by the inconvenience of an accident, and that your chances for financial compensation is maximized. Our aggressive approach has secured million-dollar settlements for clients of personal injury and car accidents throughout Indianapolis in the past. Personal Injury Lawyers Tony Patterson and Paul Kruse have decades of experience and work hard to make certain your injuries are met with justice. At Parr Richey Frandsen Patterson Kruse LLP, we believe you deserve excellent legal representation after an accident! We also assist with wrongful death claims. The outcome of your personal injury or wrongful death claim will rely on many different factors. Our skilled attorneys know how to fully investigate every element of your case to maximize your compensation. Our legal team can utilize professional contacts and expert opinion that is needed to reconstruct an accident, obtain key witness statements, determine negligence of a person or entity, and handle your insurance claims. From filing an insurance claim to taking your matters to court, our Indianapolis rear-end accident lawyer is completely ready to take on your case. You should never go into an accident claim alone, and our experienced trial lawyers can make the difference in your case. Because we prepare your case to the highest extent and aren't afraid to take your matters to trial, we can maximize the amount of compensation you receive, which could have a direct impact on your recovery. Contact Parr Richey Frandsen Patterson Kruse LLP in Indianapolis today! If we take on your matters, we can immediately begin investigating the claim, gathering evidence, and establishing which parties are involved. We have had extensive experience, including high-profile cases, and have secured satisfactory results for our clients in the past. We provide our clients with the care and attention that they deserve! Our phone lines are open 24/7, so call us today for a free case evaluation.